Cuyler Robida was named 2018 Salesman of the Year for Gross Motors of Neillsville. 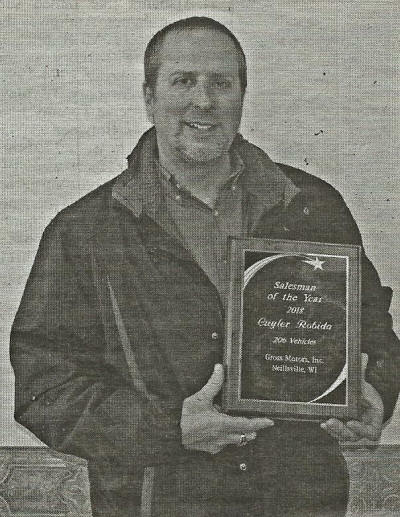 Cuyler Robida has once again been named the Gross Motors of Neillsville Salesman of the Year. To earn this top honor, he sold a total of 206 new and used vehicles in 2018. Robida received the award at the company’s March sales meeting. “He works hard to get repeat customers and earns their loyalty in an industry that’s increasingly going online and losing that person-to-person interaction,” said Gross Moor’s new vehicle manager Kevin Schmitz. Additionally, Robida has been honored through the General Motors Corporation Mark of Excellence program.  The program recognizes salespeople with extensive product knowledge and high customer satisfaction. The Chevrolet Legion of Leaders has also recognized Robida for outstanding achievement in sales and leasing. Robida who lives in Loyal, has worked on the Gross Motors sales staff since 1995. His wife is Jenny and he has three children, Brady, Aubre and Ellie.